<h2>Step 1: Gather Your Supplies</h2> Most likely you already have all of the supplies that you will need in your garage. If not, you can find pipe scraps at your local resource store. 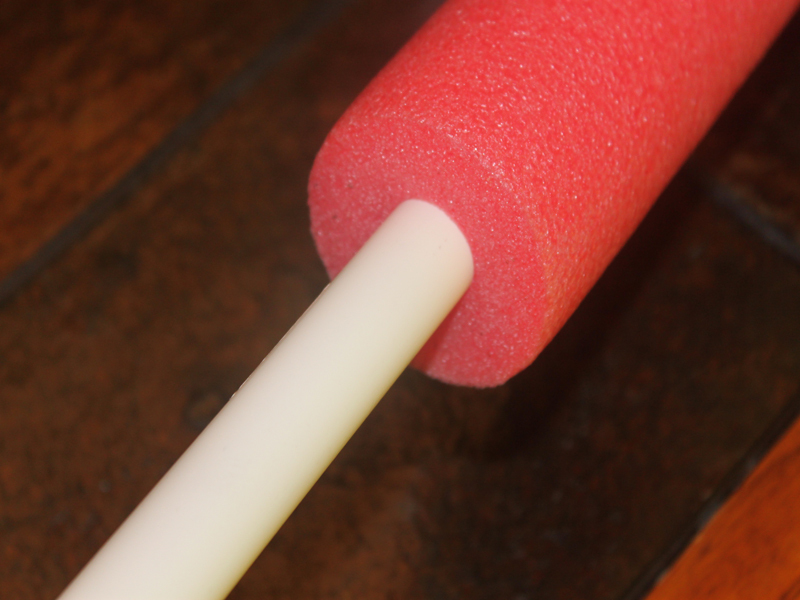 Most likely you already have all of the supplies that you will need in your garage. If not, you can find pipe scraps at your local resource store. 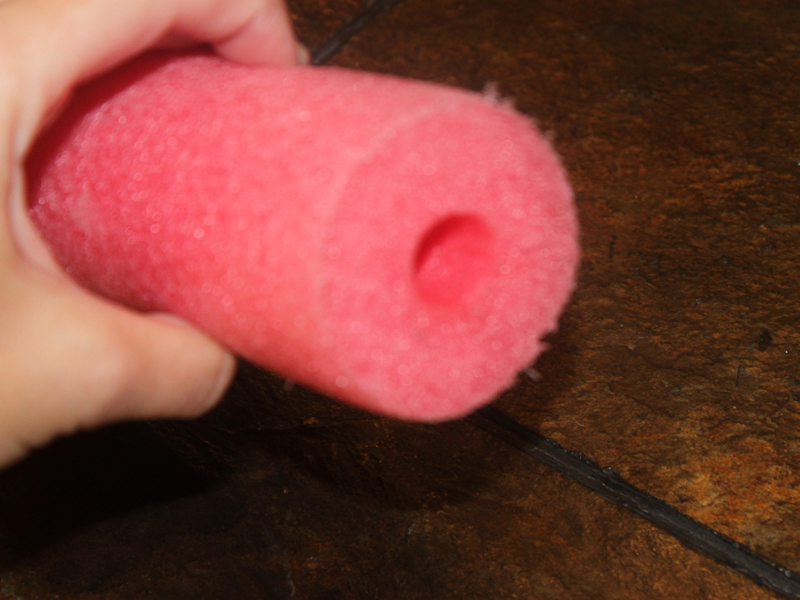 <h2>Step 2: Measure It</h2> Choose a piece of pipe that is long enough for your child's hand to wrap around with enough length left over to insert around 6" into the pool noodle. 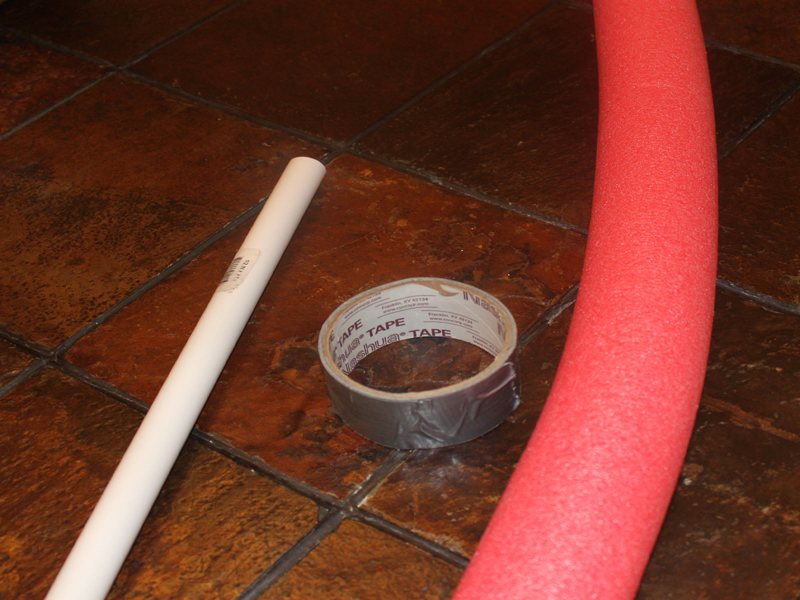 <h2>Step 3: Assemble It</h2> Insert around 6" of the piping into the pool noodle - if you find it difficult to merge the two pieces, soaping up the end of the pipe will make it easier. 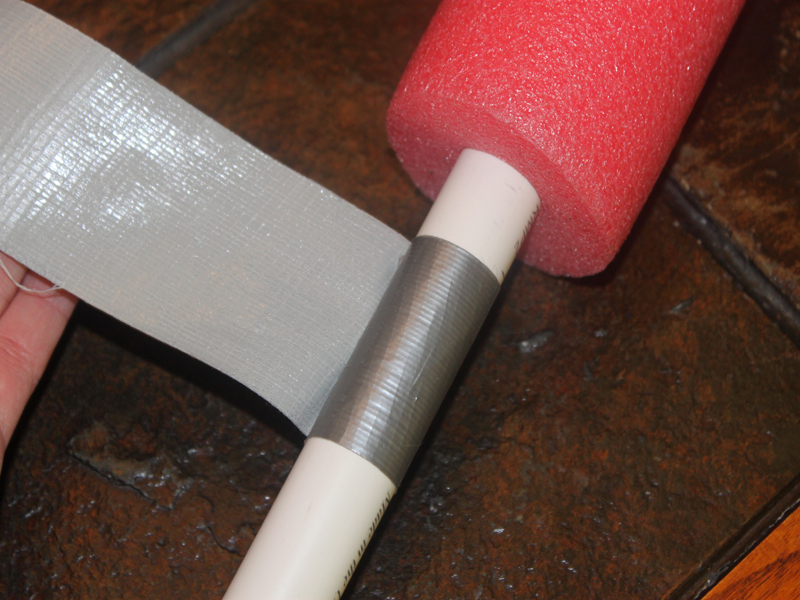 <h2>Step 4: Make a Handle</h2> Using duct or electrical tape wrap the bottom of the pipe completely. 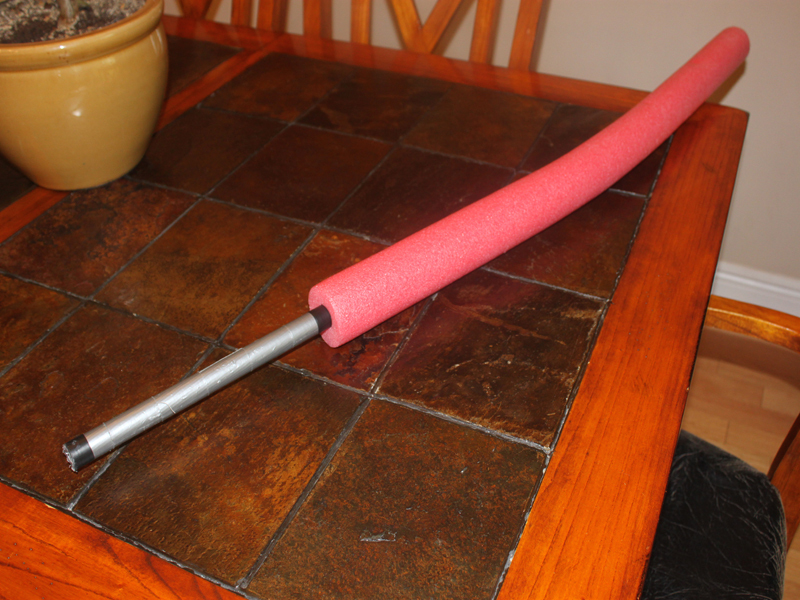 <h2>Step 5: Cut It Down to Size</h2> Once the light saber is assembled, you can cut off some of the length of the pool noodle to fit the proportion of your child. 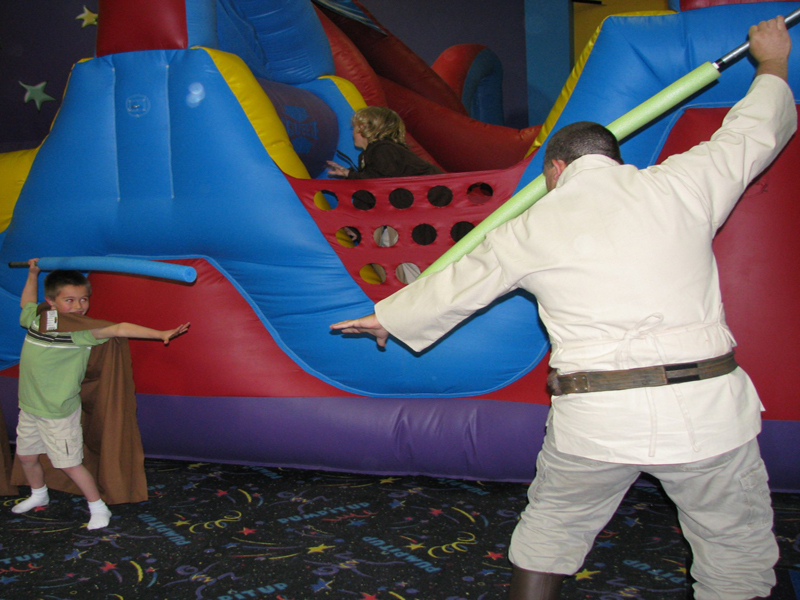 <!--nextpage--> <h2>Step 6: Dual!</h2> Watch your little padawans battle it out as they dual with pool noodles turned light sabers.